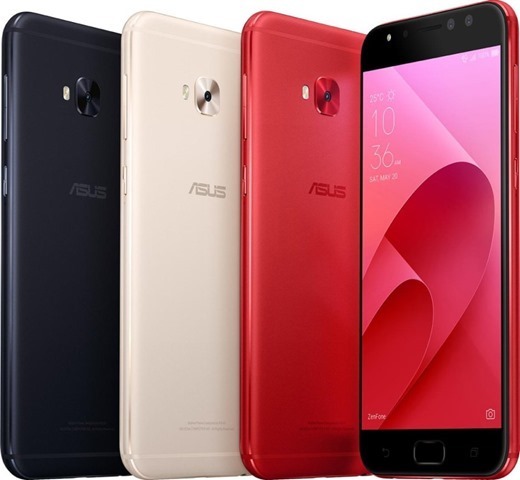 The press render images of the ASUS Zenfone 4, Zenfone 4 Max, Zenfone 4 Selfie, and Zenfone 4 Selfie Pro have been leaked by Evan Blass. 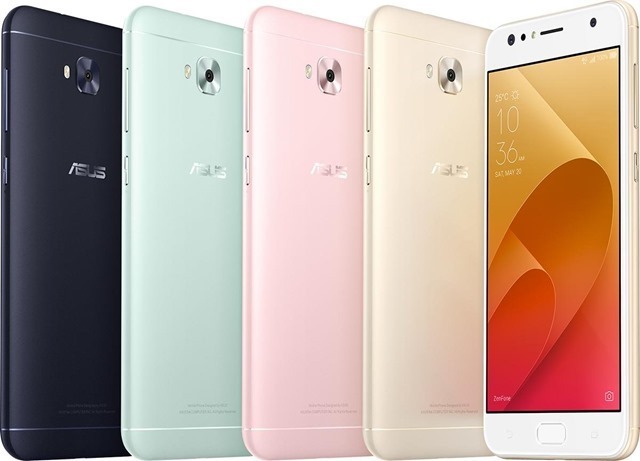 The ASUS Zenfone 4 pictured below has dual rear cameras with an LED Flash and a metal back panel. The right edge of the frame houses the power button and the volume rocker. The front panel houses a fingerprint scanner and a display which has minimal side bezels. You can also see the capacitive soft keys for the back and recents menu.The device is rumoured to be powered bya Qualcomm Snapdragon 630 chipset with 4GB of RAM, 64GB of storage, features a 5.5-inch Full HD 1080p display, and runs on Android 7.1.1 Nougat. The phone's dual rear cameras are rumoured to be a combination of a 12 megapixel lens and an 8 megapixel lens, while the selfie lens is also an 8 megapixel camera. And this is the Zenfone 4 Max, which was launched recently in Russia, also with dual rear cameras and a front facing fingerprint sensor, but with a slightly different design. 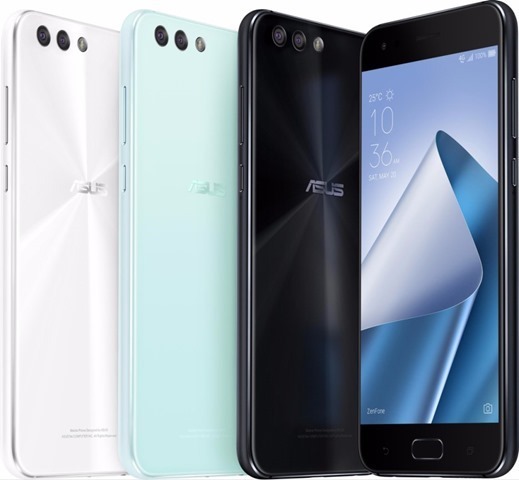 The ASUS Zenfone 4 Selfie Pro which was leaked recently, looks similar to the previous generation of Phones from the company, but has dual selfie cameras: a 5 megapixels 120-degree wide-angle lens and a 24 megapixel lens. The main camera on the ZenFone 4 Selfie Pro is a 16 megapixels lens. The device runs on Android 7.0 Nougat with ZenUI, and features a 5.5-inch 1080p AMOLED display, is powered by Qualcomm Snapdragon 625 chipset, with 4GB of RAM, has 64GB of internal storage, a dedicated microSD card slot, with a separate option for Dual SIM cards. The phone packs in a 3,000 mAh battery. 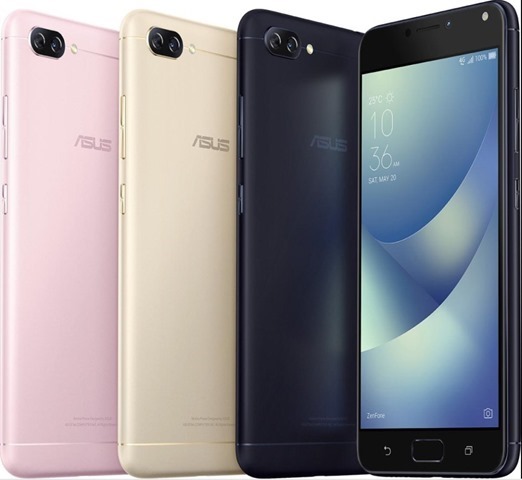 This is the ASUS Zenfone 4 Selfie, which was leaked alongside the Selfie Pro, also has dual front camera: A 20 megapixels lens and an 8 megapixels lens. The phone has a 16 megapixels rear camera, is powered by a Qualcomm Snapdragon 430 processor with 4GB of RAM, 64GB of internal storage, and flaunts a 5.5-inch 720p HD IPS display. We will know if the specifications are for real when the devices are launched, sometime before the IFA 2017 tech show.